Welcome to Chocolate Candy Mall's monthly chocolate candy newsletter, Charmingly Chocolate. I'd like to offer you something a little different this month. Will you indulge me a bit? January 2, 2009 - Issue #20 - Hope For The New Year! But, I want to start out a bit more serious and personal if you don't mind. If this unusual newsletter causes you to unsubscribe from Charmingly Chocolate, I'll be disappointed. This is so important to me, though, that I'm willing to take my chances. I do hope you'll indulge me. As I watch the news and talk to friends and relatives, I become more and more aware of the discouragement and despair that seems to be creeping over the world in recent months. No doubt, we all have plenty of reasons to be concerned. The economy is imploding, people are losing their jobs and even their homes. In some corners of the world, war is raging and people live in daily fear for their lives. My heart hurts when I think of the burdens that many bear. I'm the type that likes to 'fix' things for people. Unfortunately, some of these situations can't be fixed so easily. But what I can do is offer hope for the new year and a better future. The first and most important hope is the hope for eternal life. No matter how bad things get in this world, my faith gives me great and abiding hope for a life that is so much better than this one. And for me, this life has been pretty great. But the future life that God offers can't even be compared to this one. I have subscribers from all over the world and from all walks of life. The great thing about God is that He is no respecter of persons. He loves each and every one of us and wants to give us His wonderful gift of eternal life. The Bible calls it our "blessed hope." Please give me the privilege of sharing with you how I came to believe on the Lord Jesus Christ as my personal Saviour and how you, too, can have the assurance that your future is secure in Him by faith in His grace. Please read my story here. The second hope I'd like to offer you is much more earthly in nature. :) I'd like to tell you about the blessing I've received in learning to build an online income. My husband and I have been serving as missionaries for most of our married life. Needless to say, we are not financially well off. God has always provided our needs. I must give credit where credit is due! A couple years ago I began looking for a way to make some spending money for some 'extras' that I wanted to be able to afford. You can read more about my search for this on my About Us page. To keep it short, I "found" SBI or SiteBuildIt. With absolutely no prior web experience, SBI taught me step-by-step to build Chocolate Candy Mall, and that's where you found me. It was a lot of work and effort on my part. I don't want to mislead you about that, but it has grown from a simple hobby to an extra source of income for us. Here's a little secret just between us - this simple site about my love of chocolate made me well over $1000 last month, and I don't even sell anything! I wanted to tell you about this, because I know how many of you may be really feeling the financial pinch that is gripping the world economy. I know my entire extended family is feeling it. I'm a 40 year old woman who was fairly hopeless when it came to computer technology. If I could use SiteBuildIt to create a steadily growing extra income with something as frivolous as my weakness for chocolate candy, I feel sure you could do the same or even better. I've met a lot of SBIers since I started doing this. They're a great bunch of people. 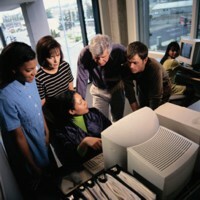 They range from retirees, to stay at home moms, to computer techs, to dentists, to laborers, and more. They all have one thing in common. They've learned to take their knowledge or hobby or offline business or special interest and turn it into an online business that they can work at from home in their spare time. Many of them have given up their regular job as a result. So, this is the second hope I wanted to share with you. Hope of financial freedom. With some real effort on your part and the straightforward tools and guidance provided by SBI, you can have some of your financial burden lifted this year. 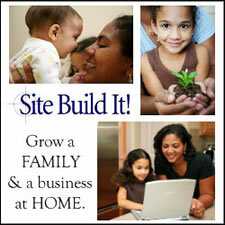 Once a year, Sitesell (the parent company) runs a "buy one get one free" special on their site building packages. This special is on right now and will end on January 5th. Take a few moments and take a tour of SBI to see if it might be the hope you are looking for. Okay, Back To The Chocolates! Thanks for your patience. I really did want to share my heart with you and I do appreciate and value your time. Have you ever tried to make your own nonpareils candy? You won't believe how easy it really is. They are really fun and so simple that the kids can help. Tip: The microwave can be used for melting if you stir every 30 seconds and be careful not to overheat. Stir constantly with a heatproof rubber spatula until the mixture is melted and smooth (about 2 minutes). Using a teaspoon, drop small pools of the melted chocolate onto a waxed paper lined baking tray. If you're using the white candy melts, put the sprinkles on right away. If you are using semisweet chocolate, wait about 15 minutes or so to let the chocolate start to set, then add the sprinkles. Allow the nonpareils to completely set. You can chill them in the refrigerator if needed, but you may end up with a little sugar bloom that way. Don't forget I'd love to see your candy creations at Chocolate Candy Mall. It is becoming more and more of a meeting place for chocolate lovers to share ideas and tips and to show off their goodies. Join us there! If you have a friend who you think may enjoy "Charmingly Chocolate," do me a favor and forward this issue to them. If someone DID pass this on to you and you like what you see, please subscribe to future issues by visiting Charmingly Chocolate and signing up. Thanks! I hope you enjoyed this issue of Charmingly Chocolate. If you have any feedback or comments you'd like to share with me, just reply to this zine and let me know. I'd love to hear from you. I wish you and your family God's richest blessings and wonderful hope for the new year!